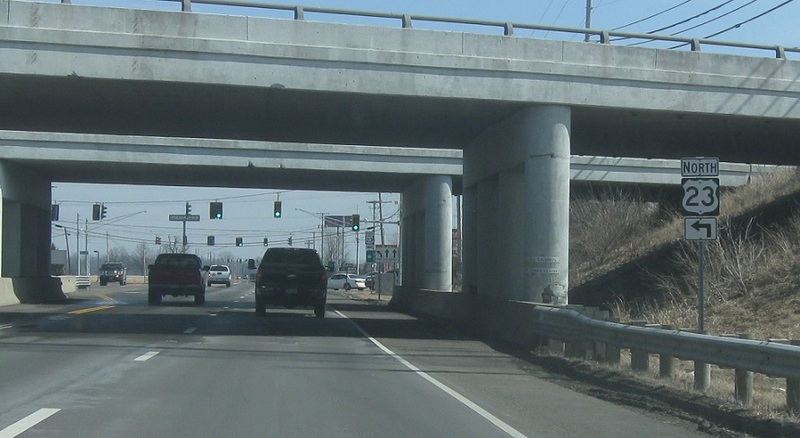 Just after the 529 junction, as we heat out of Marion city, we’ll approach US-23. 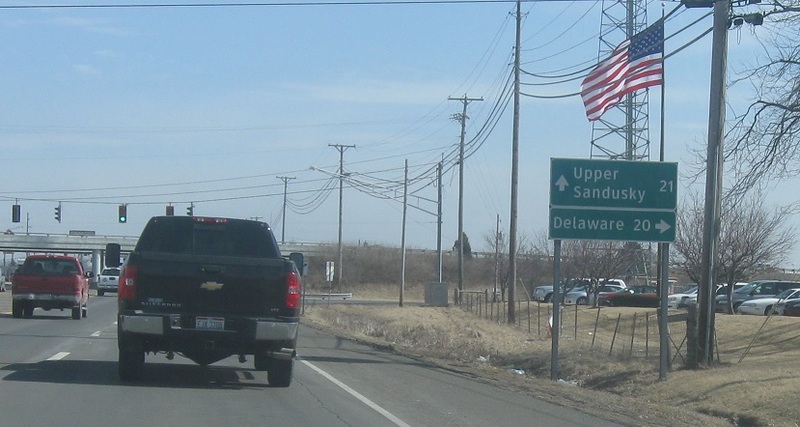 Follow 23 south to Delaware and 23 north to Upper Sandusky. 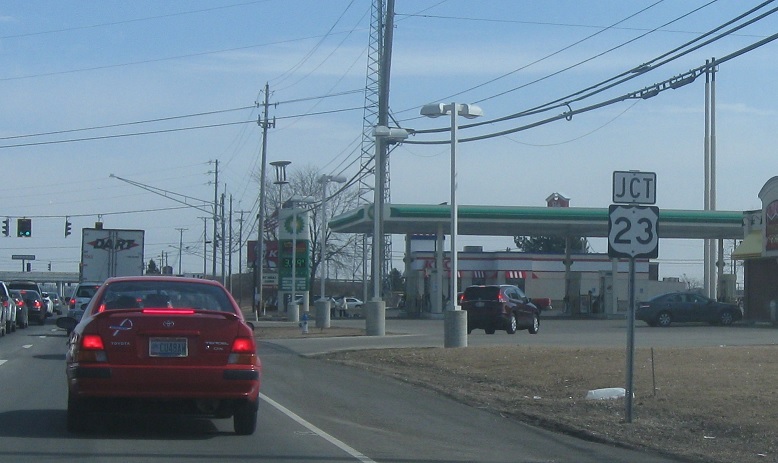 Turn right for US-23 south. 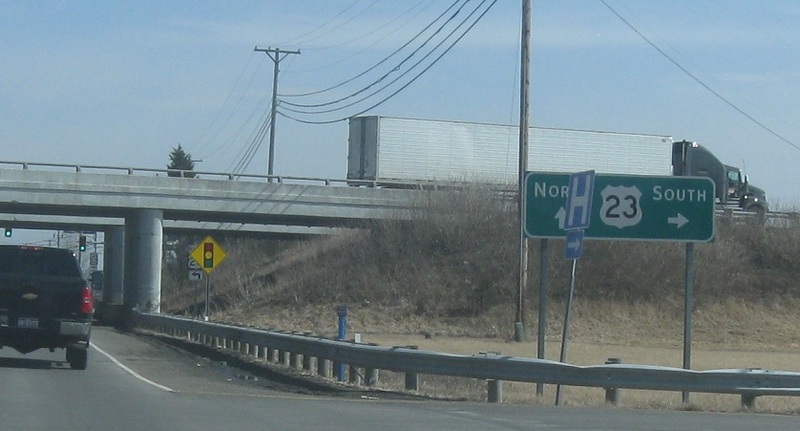 Turn left under the overpass for US-23 north. 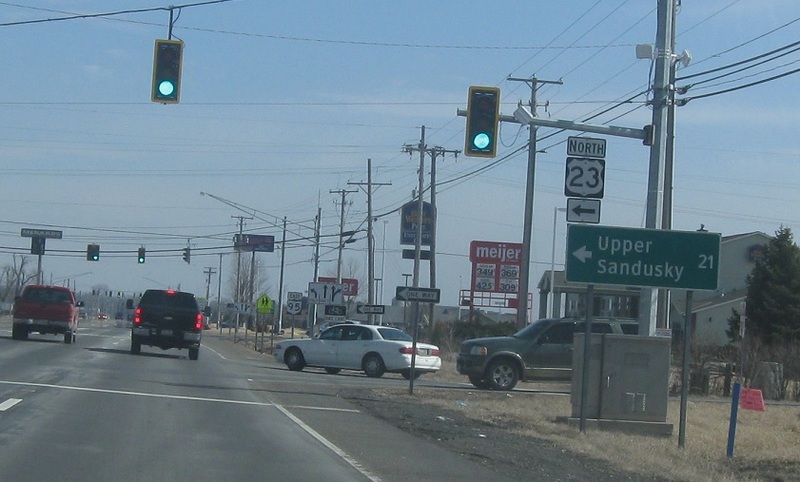 Follow 23 north to Upper Sandusky, which is nowhere near Sandusky.